Keeping a clean house is so hard. 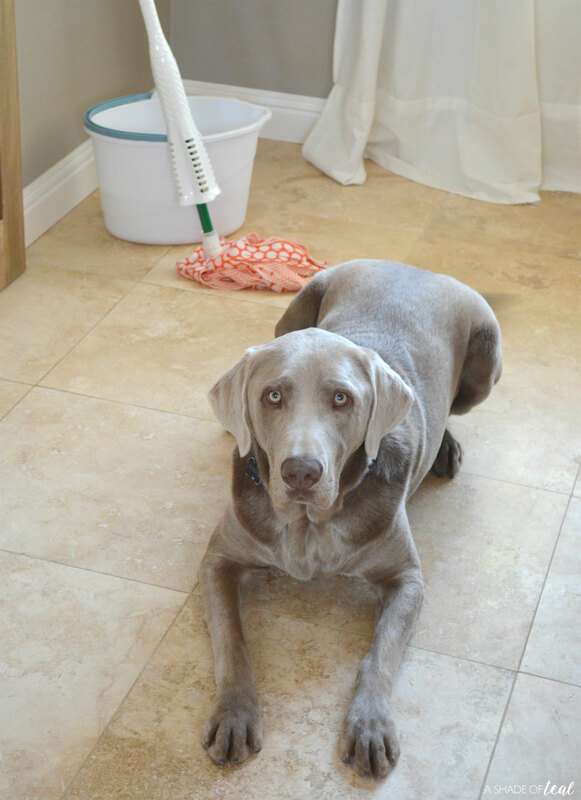 Throw in work, kids, and pets, keeping anything clean is challenging and of course my tile floors seem to be the area that is the hardest to keep clean. 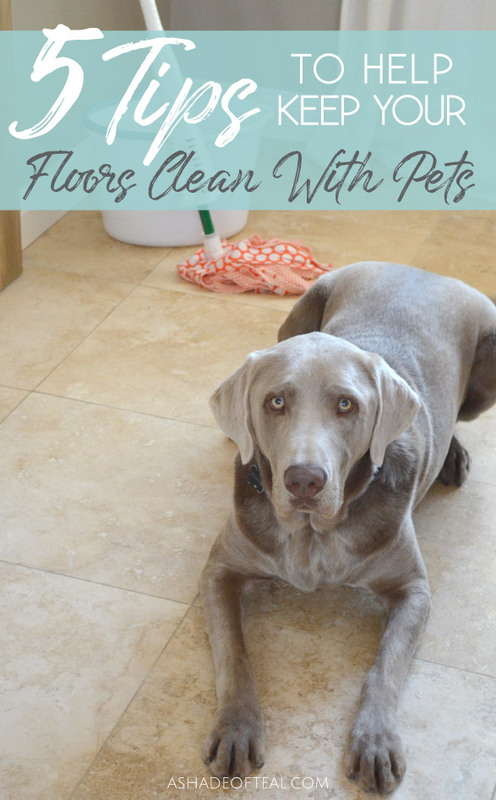 But after trying everything, I have come up with some ideas and tips to help those with pets keep their floors clean. Sounds so simple right? But setting up a cleaning schedule and sticking to it really works. I try not to overwhelm myself so I setup a couple tasks and then complete them throughout the week. I find having a task everyday is too much. When it comes to any type of cleaning you always need to find the right tool. 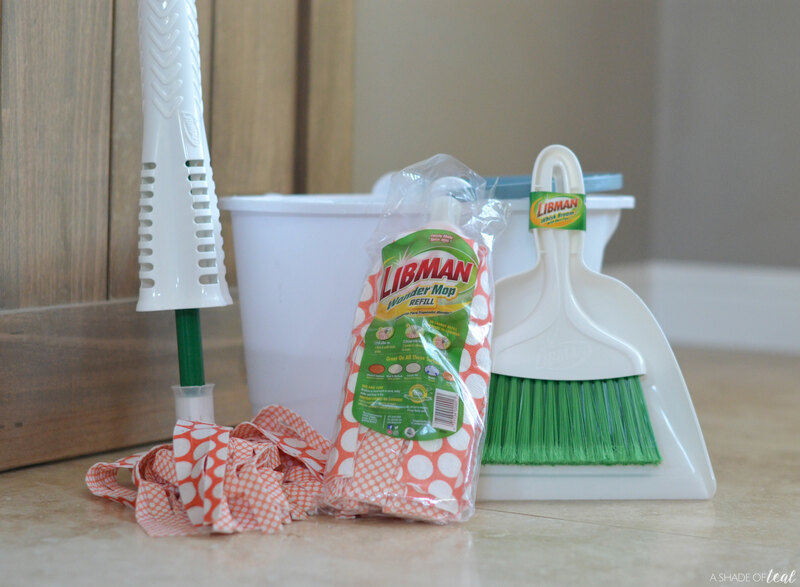 With my tile floors I use the Libman Wonder Mop. 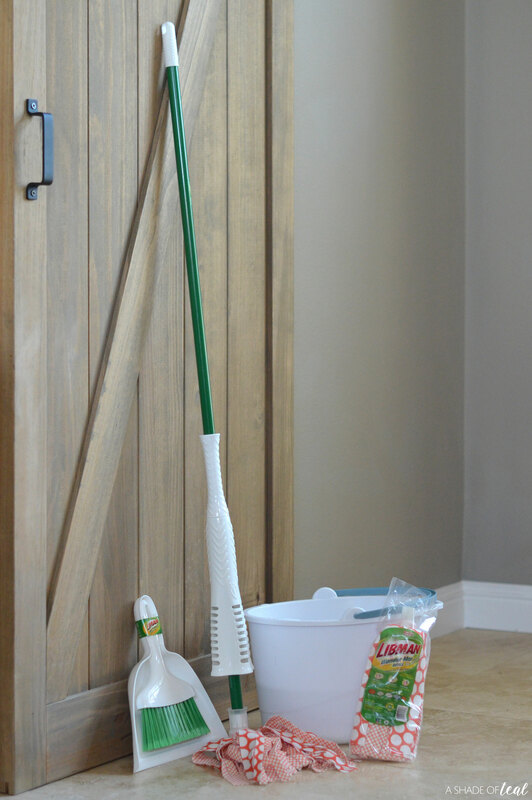 You’ll love the Wonder Mop since it has microfiber GRIPSTRIPS that lift up to 20% more dirt leaving your floors cleaner. It also has a power wringer where you’ll be able to remove more water from the microfiber mop head allowing your floors to dry faster. I know this can be hard, but I try really hard to only allow my dogs in certain areas of our home. Especially the areas where the floors are easiest to clean, like my tile floors. So, I always try to keep them away from any rug & carpet areas when possible. All of my cleaning supplies are easily accessible. Anytime there is a mess I can grab and clean, rather than having to dig through my garage or closet to find the right tool. Since I setup a well organized cleaning supply area in my home it has helped out so much. Now I can quickly grab my Libman Wonder Mop and get to work. Especially since the Wonder mop works great on all surfaces and can be machine washed up to 50 times. 5. Keep your Pets Clean! 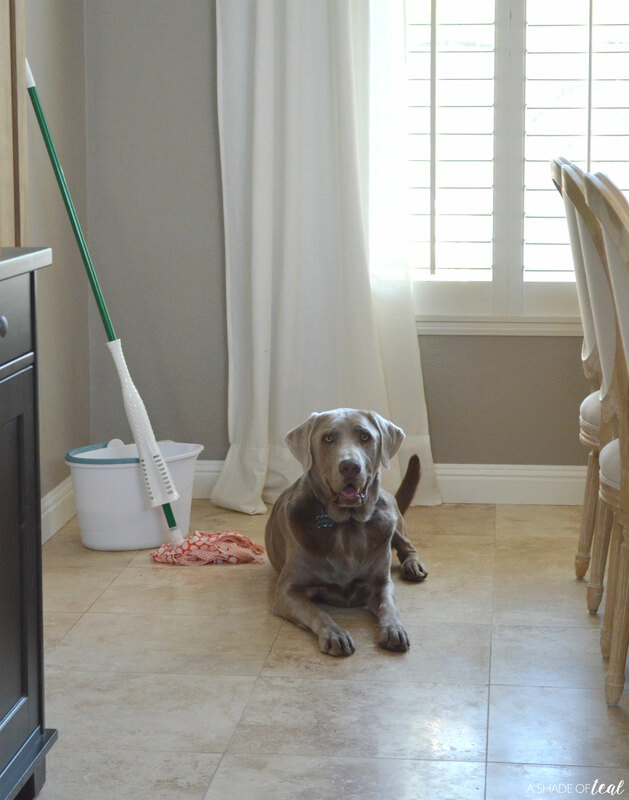 Finally, the easiest way to keep your floors clean with pets is to make sure your pet is clean! Making sure they are bathed and brushed on a regular basis is a game changer to a clean home, especially during the shedding months. 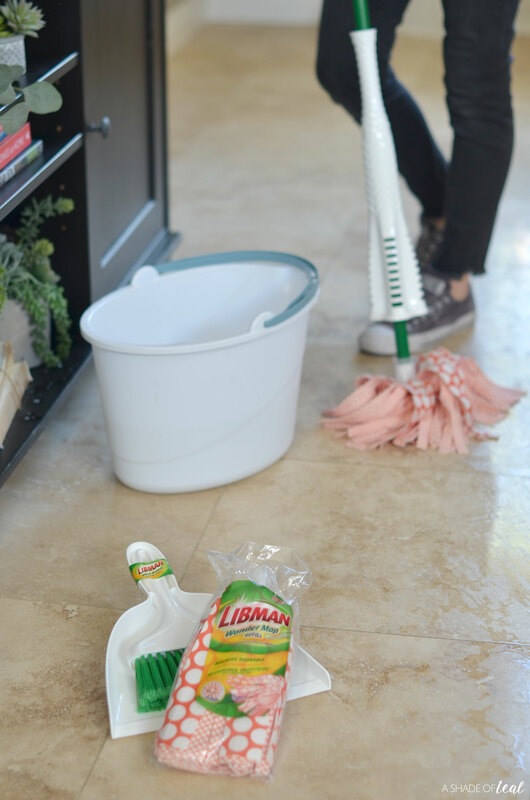 So, if you want to get back to having clean floors, I hope you find these tips along with the Libman Wonder mop helpful. 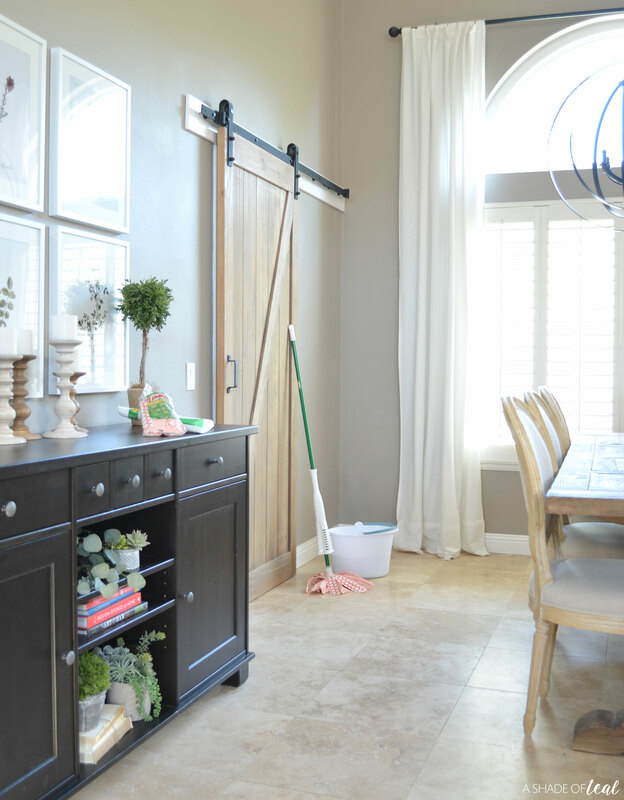 The Wonder mop really makes cleanup quick and easy so you can get back to focusing on the things that matter, like time with your pets & family! Make sure to sign up for The Libman Company newsletter and you can get a $3-off coupon, HERE. « Easy Housewarming Gift Basket!